The NDSU Rugby Club faces a new challenge finding a field after the student government pushed off a vote to fund repairs. 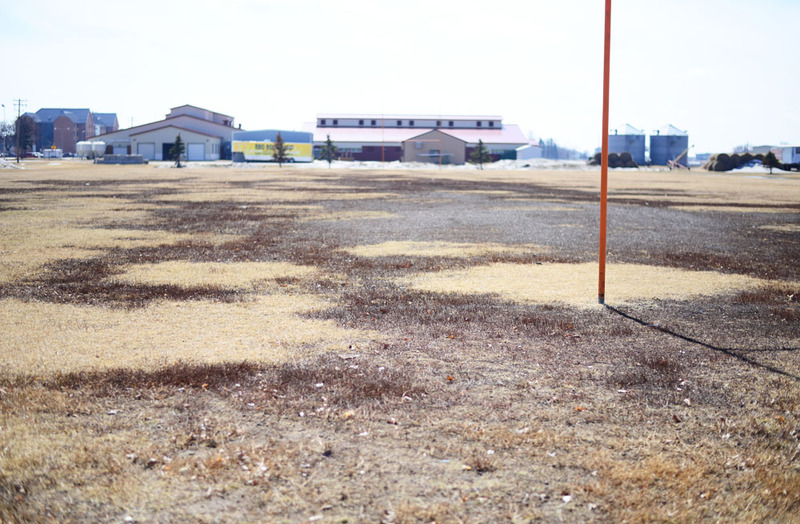 A request by NDSU’s rugby club for funds to improve the field used for intramural sports hit a snag on Sunday night when the student senate opted to postpone a vote because too many questions about the proposed repairs were raised. The $33,000 in funding was requested by the NDSU Rugby Club to pay for regrading, reseeding, irrigation work and adding tiles to the Technology Park field located west of 18th St. While the club says the site is safe, it is not ideal and opposing teams often don’t want to come to Fargo to play on their field. The rugby club has been rallying support through social media and other means to garner support for funding field repairs. 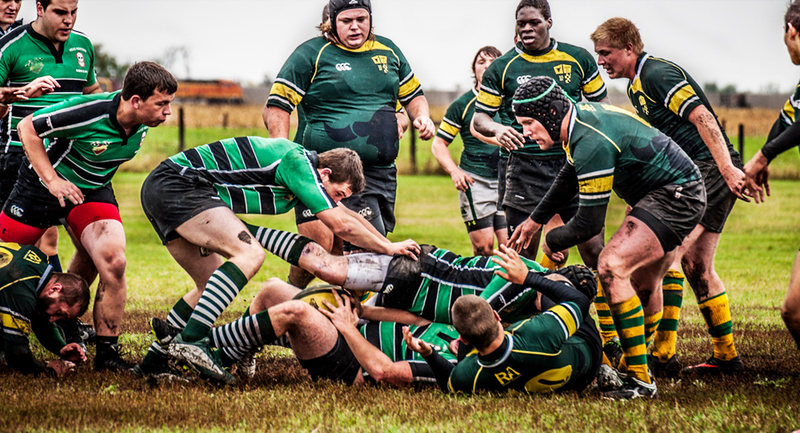 The unfortunate news for the rugby club was an email sent by staff at the NDSU Research and Technology Park — which has the rights to the field the rugby and other intramural teams play on — to Schlack early last week. The problem lies in the fact that any development of the land would mean the field could go away. “The mission of the RTP is to enhance the investments in NDSU through partnerships with technology based businesses and the research community at NDSU to diversify the economic base of our state,” said Chuck Hodge, the research and technology park interim executive director. Hodge said the discussions with a company interested in the land is very preliminary but said the nature of the discussions cannot be disclosed at this time. He said he wanted to be up front with the team before money appropriated into repairing the land that would have to be abandoned. An amendment to the request for $33,300 that was proposed and passed would require that if the funds are approved, a field has to be acquired and must have a contract that would guarantee use for at least 7 years. The student senate had too many questions about the proposal, and there was another big issue — they depleted much of their reserve funds to fund other items on their agenda, not leaving enough money to fully fund the request and keep an adequate reserve. Had the rugby club’s request been approved, the fund would have dipped to about $17,000. The reserve fund, after other appropriations were made during the meeting, had about $50,500, less than what the student government is supposed to have in the fund, according to Walter Lanza, the executive commissioner of finance. One of the major supporters of the request in the student senate said he had to pull his support, not because he didn’t want to fund the field but because they couldn’t. “I can’t support this tonight because of the lack of money,” graduate studies student senator Chris McEwan said. The NDSU field used for NDSU club rugby teams has gone through much wear and tear over past years. The teams that use the fields are making an effort to fix the field and keep it in good condition. Some of the body’s concerns were also centered around the uncertainty that the field in question would be available should they approve the funds. Schlack said the amendment that requires a 7-year minimum contract to use the field would have addressed that concern. Graduate studies student senator Amy Nash said while there aren’t financial resources to grant the funds for the field, the issue brought up a bigger issue — the fact there aren’t enough areas for intramural sports. The postponement by the student senate does not kill the dream of renovated field, but the possible development of the land is certainly going to hold up any plans, at least for the time being. Despite the turn for the worse, Schlack said there are still some alternatives. While only in the idea stage, he said land located across from the Research and Technology Park field that is used by the agriculture department may bea possible alternative. “There’s space there, and there’s a want for it right now, and if it it’s being utilized then, yes, it needs to stay exactly as it is. But if it isn’t, could we potentially move in there,” Schlack said. But Schlack added that the idea is still theoretical and talks need to take place with the appropriate parties before that alternative is considered. Timing may have been an enemy of the “Save Our Green Space” effort as well. The student senate was supposed to vote on the funding request at last week’s meeting, before the email sent by Sobolik about the talks of development on the land was received. The reserve fund would have been sufficient had the student approved the request. Schlack said the next steps include meeting with staff at the Research and Technology Park to see if there is still interest in development on the land and with other NDSU entities. The issue is likely to come back before the student senate before the school year ends.